LINK3D supports Aerospace and Defense companies with specialized Additive Manufacturing technologies catered to their industrial 3D Printing. From streamlining research and development to managing rapid prototyping and series production. As a key leader in the adoption of Additive Manufacturing, Aerospace and Defense companies that took advantage of Additive Manufacturing technology 30 years ago are now seeing a boost in product innovation and supply chain efficiencies in producing lightweight, high-performing and cost effective products. "Improve collaboration and increase speed-to-market in a secure environment for Additive Manufacturing"
LINK3D helps Aerospace and Defense companies turn their Additive Manufacturing divisions into a profit centers and arms Centers of Excellences (COEs) with new Additive Manufacturing services to support their internal and external clients. This includes streamlined order management systems designed to support on-site and remote teams for AM part production with the most optimal internal facilities or certified service bureaus. As Aerospace and Defense companies build their Additive Manufacturing knowledge and supplier base, their teams continuously grow, consolidating additive learnings to educate their growing engineering and supply chain teams becomes difficult. To solve this, LINK3D developed an intelligent order routing system with the Aerospace and Defense industry in mind. Application engineers and supply chain representatives can optimize build preparation and production scheduling with the goal to maximize production capacity and machine utilization of industrial 3D Printers. As Aerospace and Defence companies grow their library of additively produced parts, they're looking to centralize their files and order management in one place. As a result, Digital Part Inventory was developed to consolidate 3D files, production specifications and supplier history. 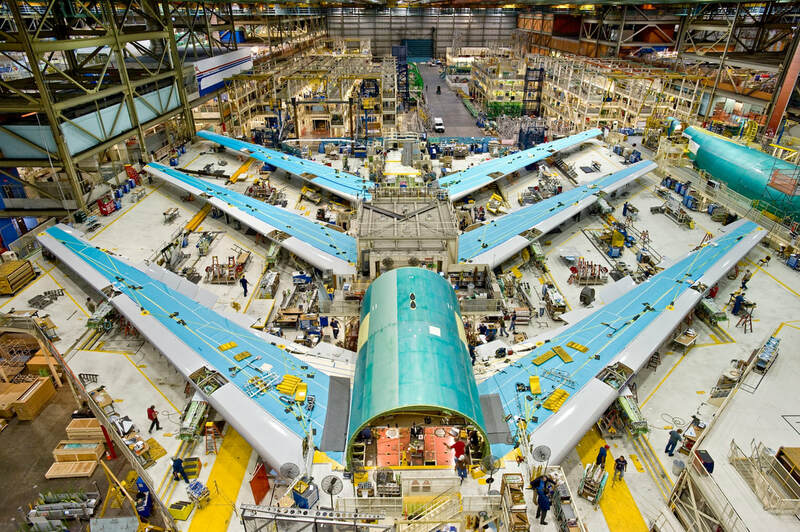 With an end-to-end project collaboration and product lifecycle, Aerospace and Defense companies can now print parts on-demand and in real-time, achieving distributed manufacturing worldwide. ​​​Modern Aerospace and Defense Additive Manufacturing teams need tools to keep up with their pace of innovation in a secure environment. ​Engineers and supply chain representatives are looking to produce lightweight, high-performing products that require less material waste to meet business requirements with internal facilities and trusted partners. This includes weight reduction to increase fuel efficiency and decrease carbon emissions. When digital files are so easily copied, it's important that IP is safeguarded from beginning-to-end. We've found that majority of Aerospace and Defence companies require AES-256-bit encryption and SSL certification in software solutions. As a result, LINK3D offers Private Cloud and On-Premise deployment of the solution to meet the Aerospace and Defense security requirements for Additive Manufacturing workflow automation. In addition, LINK3D applied blockchain to their software with the goal of offerring end-to-end traceability of AM parts produced in a tamper-proof environment. Majority of Aerospace and Defense companies are printing low-volume complex parts, spare parts for legacy aircrafts or spare parts for remote repair centers. LINK3D built an intelligent order routing system, digital part inventory and scheduling software to streamline orders to support their supply chain structure. As of late, as Aerospace and Defense companies begin to scale their Additive Manufacturing expertise, they are finding a lack of talent in the global market. To enable Aerospace and Defense companies, LINK3D developed proprietary machine learning algorithms and recommendation systems to help new and mature Additive Manufacturing teams to leverage technology that can help them become aware of all additive resources available for their research and production needs. Resources include all materials, technologies, post-processing, machining and certification availabilities per facility or certified service bureau. Aerospace and Defense companies have multiple approaches for designing their Additive Manufacturing facility structure: centralized or decentralized. When there are so many engineers, supply chain representatives and facilities worldwide, organizational drag often gets in the way of productivity. In some cases, engineers must network within their organization to understand what is available for their additive manufacturing developments. LINK3D facilitates this process by consolidating all additive resources on a single platform, which helps companies get end-to-end visibility of their Additive Manufacturing activities. Version controlled 3D files, order history, traceability and build reports are centralized in 3D file management system. This helps reduce organizational drag and long email chains. LINK3D Digital Part Inventory will capture all additive projects and additively produced parts for research and development, rapid prototyping and series production. Some Aerospace and Defense companies are looking at Additive Manufacturing for reducing physical part inventory by up to 30%. By digitizing parts and enabling on-demand distributed manufacturing, businesses can reduce their physical part inventory. For example, a successful implementation of digitizing parts with on-demand ordering will heavily impact the airline industry for repair and maintenance management. OEMs can reduce the number of inventory made and only 3D print parts when an order is placed. The trickle effect of this new process will cause a reduction of costs, from materials, administration, warehousing, part obsolescence and more.